Bijapur is small town bordering Karnataka from one side and Maharashtra from another side. It was once the capital of Adil Shah Dynasty for more than 200 years. Also known as Vijayapura "the city of victory" during the reign of Chalukyas, the ancient city of Bijapur is situated 530 kms north-west of Bangalore. 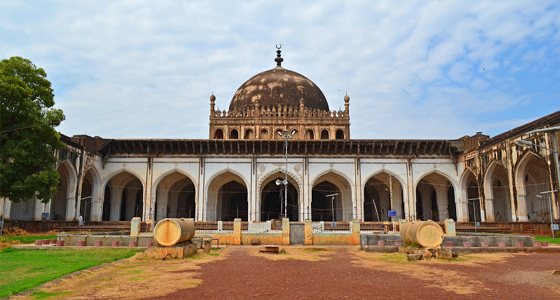 Gol Gumbaz, Ibrahim Rauza, Jumma Masjid, the Citadel and Mithari and Asar Mahals are some of the major attractions of the place that are worth visiting. 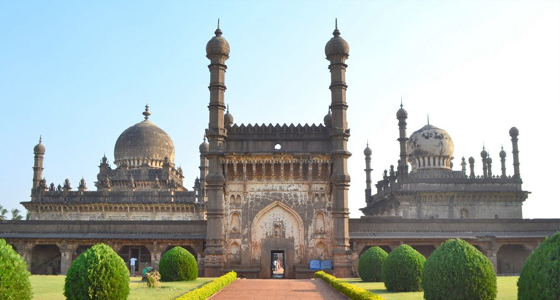 At Tour My India, we specialize in offer well organized Pune-Bijapur Weekend Tour that will take you back to the ancient Bijapur and its major attractions that draw the attention and interest of the tourists from around the globe. So, pack your bags for another weekend trip that will take you away from busy city life. We will pick you up from your own place in the morning and drive straight away to Bijapur. On arrival, check-in at the hotel. Later, we will visit Jumma Masjid, Bijapur and Mithari and Asar Mahals. In the evening, return back to the hotel for an overnight stay. Jumma Masjid is the largest mosque in the area. With a fountain at the center and several well designed rooms and arches, a big hall and a huge dome, it is one of the must visit places in the area. Situated close to Jumma Masjid, Mithari and Asar Mahal is one of the famous structures in Bijapure. It is a three storied building with elegantly drawn high minarets and windows. The Asar Mahal is standing still in the north side of the structure with the help of four pillars. It was built to be a justice hall. After breakfast, proceed to visit Ibrahim Rauza, Gol Gumbaz and The Citadel. Later, return back to the hotel for an overnight stay. Ibrahim Rauza is one of the great structures located in the historic town of Aihole and is designed by Malik Sandal, the site with a tomb to the left and a mosque to the right. The entrance of the structure is highly decorative. The site holds the leftovers of the great Adil Shah ruler Ibrahim Adil Shah II and his wife. Gol Gumbaz is the second largest dome in the world. 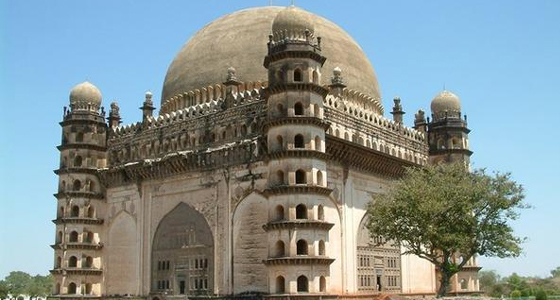 It was constructed by Yaqut of Dabul, the famous architect under the support of Mohammed Adil shah. The dome has been stiffed without the support of any pillars. There are four minarets with stairs which show the way to the dome from where a superb view of the town can be witness. The Citadel is a centrally located site surrounded by its own walls. There is a wide moat in the center of the premise. 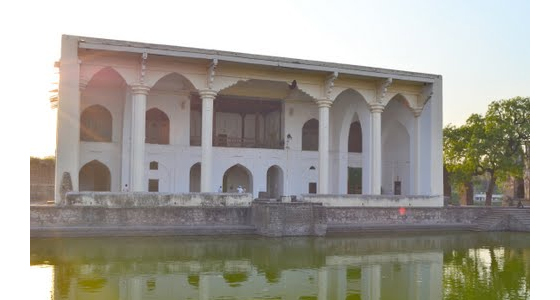 It has in its area gardens, palaces and halls that belonged to the Adil shah rulers. The structure was built by Yusuf Adil shah. After breakfast, checkout from the hotel and drive back to Pune. On arrival at Pune, we will drop you at your own desired location.